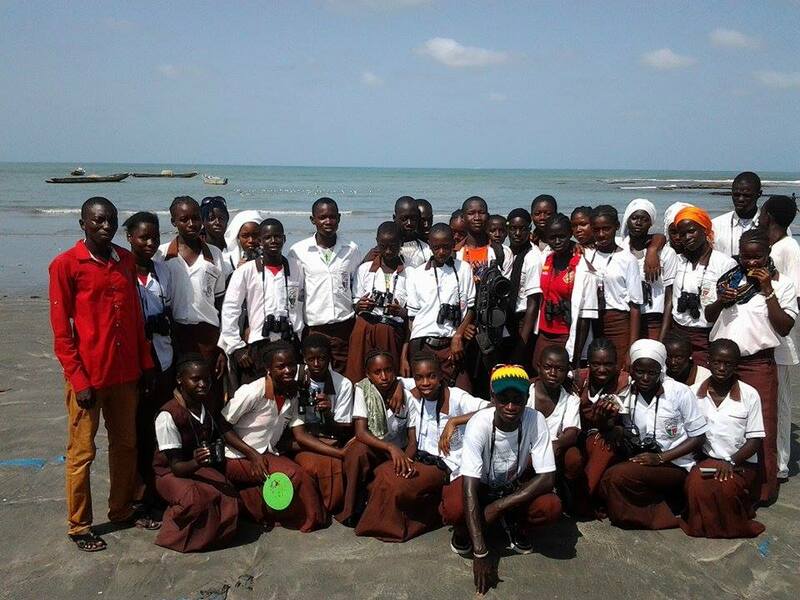 The Osprey Clubs scheme helps to inspire young people in The Gambia about the natural world. Young people growing up in rural communities in The Gambia live alongside a diverse array of wildlife and have a great desire to learn, but there is little opportunity for environmental education at severely under-resourced schools. We’re aiming to change that through the Osprey Clubs scheme, which is run in partnership with the Rutland Osprey Project. Osprey Clubs are run as an extra-curricular activity at schools in rural areas. Each club receives regular visits by the OLF team, led by Junkung Jadama, and the opportunity for up to 30 students to participate in a minimum of four field trips per year. We’re working with five schools initially, and then plan to expand. Field trips to a range of different sites in The Gambia are organised, to introduce the students to birds and other wildlife, including Ospreys and other migratory species and to discuss some of the conservation issues they face. We think this will inspire a genuine interest in environmental issues among some students and may encourage them to undertake further study in a related subject. It also helps the nature conservation message to spread through communities. There is potential for UK students to visit The Gambia to assist with the Osprey Clubs initiative for a set period. Osprey Clubs in The Gambia are run in partnership with the Rutland Osprey Project, with thanks to the Leicestershire & Rutland Wildlife Trust and Anglian Water.